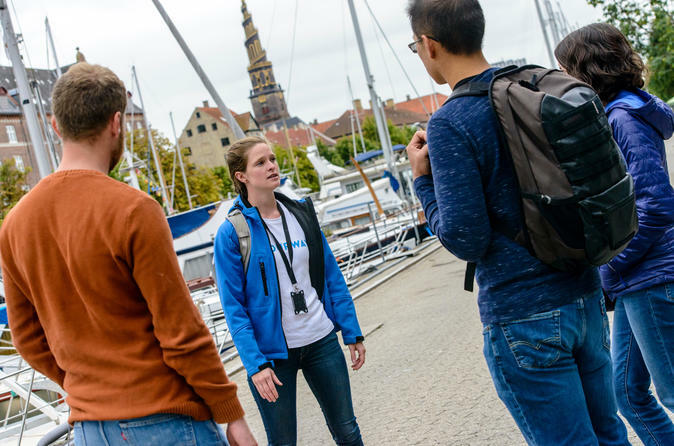 Tick off 2 important city experiences and save money with a Super Saver deal, that includes the Copenhagen City Walk and Free Spirited Copenhagen tour. Opt to fit in all your sightseeing in 1 day, or spread the tours across your visit. Explore by foot for intimate insight into the city’s historic center and its alternative attractions, with benefit from insights provided by your guide. Copenhagen 2.5-Hour City Walk - Inside the Tourist Information Center, Vesterbrogade 4B, 1620 Copenhagen. Copenhagen: 1.5-Hour Free Spirited Tour - The tour departs from Nyhavn, next to the great Memorial Anchor in front of the canal boats. The guide will be there approximately 15 minutes before departure. Look out for a guide dressed in a blue or white t-shirt and/or jacket with the tour supplier's logo on it.Inside the Copenhagen Visitor and Tourist Information Center. Located on Vesterbrogade 4B, 1620 Copenhagen. Please note that customer needs to indicate which day they want to do what tour before-hand. Old Town Walk departs at 14.00 and Free Spirited at 11.00. Tours can be taken on the same day or spread over different days.